For many CEOs, ‘doing’ social media is terrifying. Much easier to hire a millennial to do it for you. But in a world in which trust in corporates is at an all-time low, Michelle Carvill argues the best way to address that is to ‘step outside of the boardroom and start having authentic conversations with your audience’, not as a faceless corporation, but as a person. Yes, it’s scary. Yes, it’s hard to see a direct ROI. But there are also massive potential benefits. Alison Jones: Hello and welcome to the Extraordinary Business Book Club, and today I’m here with Michelle Carvilll, who is a strategic marketer, a social media consultant, and a professional speaker. She founded digital marketing and social media agency, Carvilll Creative, in 2002, and she’s also written three books, the latest of which is Get Social, Social Media Strategy and Tactics for Leaders, which was published by Kogan Page in May 2018. Hello, Michelle. Nice to have you on the show. Michelle Carvill: Hello, Alison. Thank you for having me. Alison Jones: Great to have you here. Now, what I love about Get Social, and what’s interesting about it, is there’s lots of how-to-do social media out there, but this is different, because it’s aimed at CEOs, and it’s about how you can become a social CEO and actively use social media rather than simply employing some minion to take care of your company’s social media account. Why does that matter? Why does it matter that a CEO has their own social media profile as well as that of their company? And how do those two work together? Michelle Carvill: Yes, as you said, there’s a lot of books out there, and there’s a lot of stuff out there now, about how to do social, but one of the things I found in the work I do, and with people that I speak to, is that social often only goes so far within an organization, because the people at the top, the leaders, the CEOs, just don’t get it. There’s a lot of research now that’s telling us that, okay, CEOs are starting to become more social, and leaders are becoming more social, and so I set out to have a look at that research. Of course, trust is a big deal. We’re at a stage where people don’t know who to trust, what to trust, and people are turning more and more towards organizations, and indeed, leaders of the organizations, and saying, “So what really is going on?” They want to hear it from the horse’s mouth. Those organizations where that is happening are winning the hearts and minds of the consumer. So trust is a big deal, and trust in CEOs. The latest Edelman trust barometer is showing it’s down, and so a good way to combat that is to just step outside of the boardroom and start having authentic conversations with your audience. Those that are doing that are seeing the rewards. Alison Jones: Although, I can imagine there are some people who just totally get this and just fly with it, but I imagine an awful lot of CEOs are frankly, absolutely terrified by the idea of coming out of the boardroom, as you say. What advice do you give them when they’re just terrified of fluffing it up when they’re starting out? What do you tell them? Michelle Carvill: Yeah. You’re right. There is a lot of fear. In fact, I ran some workshops recently for some CEOs, and of course, I would say, “Time is an issue, return on investment is often the issue,” and on both occasions somebody said, “But what about people that are a bit afraid? Afraid of messing it up?” I was “100%”, and there was my next slide. A big picture from Psycho with the big scary … a scary image. Yes, absolutely. Fear. What I would say is … and what I do say, and what I do recommend, in both the book, in the plan, and indeed, when I’m working with people, is let’s just start slowly. Tune in first. First of all just start listening, start looking at what goes on in these channels and become familiar with the reality of what happens, and the conversations, and the types of conversations, and select some people that you respect and have a look at what they’re doing it, and how they’re doing it, and what’s working and what’s not working. Then start slowly. Figure out which channel you would like to start with, whether that’s going to be Twitter, whether that’s going to be LinkedIn. Those are usually the channels that CEOs or leaders want to get involved with, because they make sense. And start slowly. Start slowly, find your rhythm, get support. You’re not on your own. I do believe it has to be you doing it. I don’t think it looks that authentic when it’s very obvious, often, that there’s a PR team or a marketing team behind what the leader is saying. It has to be authentic, but that said, you can still get support with your content, and with mapping it out, and planning. First I would say, look and listen. Then I would say, start slowly. Just find one channel, do really well on it, get comfortable with it, find your rhythm, and then, if it’s relevant, progress. Alison Jones: It’s interesting, isn’t it? In a sense it’s asking quite a lot of somebody very senior, because you’re asking them to almost put down being a leader and pick up being a learner again, which is asking quite a lot of humility and vulnerability there, isn’t it? Michelle Carvill: It is. I’ve actually coached people anonymously, because they’re too embarrassed to turn around to their teams and say, “Help me with this,” but they know they need to be doing it. That is the reality. It’s not about what I had for breakfast, it’s moved on, and it is the place that people turn to for communication and connection. Over three billion people do this daily, for more than two to three hours a day, so it is their employees. It is their customers, it is their potential employees, it is their potential customers, it is their competitors. This is now a key way of communicating, and just as you wouldn’t want to be part of the organization, well, conversations are going on within that organization, and around that organization, so as a leader, you really need to have your ear to the ground and often be part of that conversation, or steering that conversation. If you’re not using the channels, then you’re not part of it. Alison Jones: Then the conversation’s going on and you’re not part of it. Michelle Carvill: Exactly. Exactly. That’s where we’ve got to now. It’s taken quite a long time really, and yet, people still talk about these social technologies as new, but they’ve been around for a long time. 15 years, when you think about where the stage of technology has shifted, these social channels have been a significant part of those shifts. Alison Jones: Yeah. Absolutely. I can’t remember a world without Facebook really. Alison Jones: It must have happened, but I don’t remember it. That idea of a personal brand, and I love the phrase you use in the book, the ‘social intelligence’ of the leaders, is another way of measuring your intelligence as a leader. How does that translate out of the C-suite into maybe smaller companies, even to entrepreneurs? Michelle Carvill: I think it’s exactly the same, Alison. I really do. If you are the owner of a business, if you are … and that business may just be you, or one or two people, you are the brand. You are the heart and soul of that business, just as if you are a leader of a large, multi national organization. It is exactly the same. The trust is required, your presence is required, you’re the brand champion. You are the voice of that business and people want to know what you’ve got to say. Sometimes it’s what you’ve got to say that you’re selling. If you’re a consultant, if you are a thought leader, if you’re a game changer and you’re saying all of these things, well, people are looking for the social proof of that. Again, it’s being part of those conversations that are going on in and around your brand, your business, your sector, whether you’re a one man band or an enormous organization. Alison Jones: Yeah. In a sense, you’re preaching to the choir here, because I couldn’t agree more. I remember doing social media 10 years ago when you genuinely could say it was a bit new, and the conversation being: where’s the return on investment? It was terribly hard to prove that directly. I think it still is quite hard to evidence a really direct link, but it’s a sort of needed-to-play now. Do you still have that conversation with people? Where is the ROI? What is the ROI? Michelle Carvill: Yeah. It’s less and less. It’s interesting. As you say, the conversations we always used to be part of, and the first thing people would ask is, “Well, what’s the ROI? How am I going to see the returns of this investment?” Because it does take time, and there is investment, and it is dipping in and out of it all the time, so there is that constant requirement. But it’s less about that now. Now it’s a case of, we know we need to be there. Are we doing this properly? Is everything aligned? I would say the two are aligned themselves, because a lot of the reason that people didn’t see a return on investment out of social, was because they just jumped onto the social channels, thinking, “Okay, I’ve just got to start doing this.” I would meet organizations and people that would say, “Yeah, I’m on Twitter, I’m on Facebook, I’m on Instagram, I’m on … I’m doing all of it.” “Okay, great. So what’s your strategy for Twitter? What are you aiming to get out of your Twitter activity? What are you aiming to get out of what it is that you are doing on LinkedIn? Because unless you start with the end in mind, unless you really have some goals … It’s pretty basic, but unless you have some goals and outcomes, how are you going to measure whether what you are doing is actually helping you to get there? Often, that end goal was not really put into place. It was just a case of, “We’ve just got to be doing this, because everybody else is.” Of course, people are doing this, and lots of activity, and burning lots of energy and time, but not necessarily getting the return. Maybe they were getting the returns, but not even knowing they were getting the returns, because they hadn’t really set out with anything clear. It’s a statement I use a lot when I am speaking. I’m sure I must mention it in the book a few times, those that aim for nothing, hit it with remarkable accuracy, and I think … I love that statement, but for me, that pretty much summed up what has been happening in social, and for many, what continues to happen in social, so you always … That’s why I’m obsessive about objectives. Regardless of channel, regardless of what you are doing, understand why you are doing it. Very often, people jump onto the channels. They get going with social, they get going on Twitter, and Facebook, and Linkedin, but they don’t … They’re looking, and they say, “Oh, it’s not working. I’m not getting the return on investment,” but often, the reason they’re not getting the return on investment is, because they haven’t set out with a very clear plan of what it is that they want that channel to achieve for them. What am I looking to achieve on Twitter? What am I looking to get out of my activity on Linkedin? What is that I am looking to achieve via Facebook? Setting specific goals, having specific objectives that you want to achieve, then that helps you to understand whether or not you are achieving them, and you can measure that return on investment. But if you jump into the channels without … just because everybody else has, and without actually thinking about what it is you want them to do, and therefore, what you’re going to put on those channels in order to help you achieve it, which is going to be different, because if you are looking for lead generation, then the content, and the conversation, and the people that you are connecting with are going to be very different to somebody, as if you are trying to get people to come to an event, or people you are trying to connect with, because you want them to be interviewed for your book, or something. There are very different reasons as to why you are doing things on social, and very often, the reason people don’t get return on investment is because they haven’t set out with the end in mind. They’ve just jumped on, hoping that stuff is going to work. Alison Jones: Every single thing you say there about social, you could also port over and apply to writing a book, couldn’t you? Michelle Carvill: You could apply it to every channel, whether you’re writing a book, whether you’re email planning, you’re marketing, you’re sales planning. We all need to be thinking more objectively, but yes, 100%. That book, and I find this … I did a talk about putting a book together and it was quite interesting. Again, people say, “I’m just going to write this book,” but it’s for what reason are you writing that book? Any publisher is going to want to know that, so you’ve got to be really clear on that first. Alison Jones: Yeah. Absolutely. That’s brilliant. Let’s talk about the writing. You’ve done three books now. What does writing actually look like for you? What have you discovered works for you to get into a routine and push past the blockers and so on? How do you write? Michelle Carvill: How do I write? It’s a really good question. I suppose, even when I’m not writing a book, I’m writing all the time. What I mean by that is it’s the ideas. It’s the ideas, and you think, “Oh, I’ve got to get that out. I’ve got to get that out. I’ve got to get that out.” For me, that is what I have done in the formulation of my books. It’s about what messages do I want to share? What insights do I think need to be shared? What’s going to help others? What has been useful for me, and how is this going to help others? What I do, very practically, is I always carry… Here’s me, Mrs Techy, I always carry a post-it notepad and a little pen with me, everywhere I go, and I capture everything. Everything, everything, everything. If you saw my book preparation, Alison, it’s a huge wall and it is just full of post-it notes that are just … I just get stuff out, I just get stuff out, I just get stuff out, and then I start to cluster things together. Those clusters become themes, and those themes become chapters, and all the key messages that I want to get across start to build in, and that’s how I do it. That definitely pushes me through the blockers, because as I then get down to putting this stuff together and I’ve got a nice cluster of post-it notes, and I think, “Okay, so they’re all the … that’s my chapter on X, and now I’m going to break down each of these dimensions and I’m going to write about that,” it just … it’s all done for you. The mapping out of a book, I suppose, is the most difficult piece for me, personally, because there’s often so much you want to get out there, that the messages can become jumbled. Seeing it on a big canvas and being able to move it around really fluidly, and build these clusters, and remove things that you don’t want to share is really important. When you’ve got to get things down to so many words, you start to be able to remove things. It’s just a really useful way and, of course, every time you are writing then, you just look … I just look back at my wall. Okay, have I covered that point? Have I covered that point? Have I covered that point? Alison Jones: Do you know what? It’s still the best system I know. It’s the system I teach on my bootcamp. Michelle Carvill: Is it really? Alison Jones: Yeah. Absolutely. There’s just nothing like a pile of post-its. There’s something about the kinaesthetic nature of what you are doing, it’s completely intuitive, because you can move things around and it’s … If you are using any bit of software, there’s a bit of friction there, isn’t there? Michelle Carvill: Oh, good. I would say another thing about the tech is that you can turn that tech off and you don’t see it. It’s all blank screens. When those post-it notes are there on your wall, in your office, where you’re going to be writing, there’s no getting away from it as well. That’s the other thing. It is there, upfront and centre. It’s a big message. It’s a big presence, and so I think that’s … There’s something not to be underestimated about that. Alison Jones: Not least the fact that your family are going to start nagging you and saying, “When are you going to clear this up?” Yeah. Alison Jones: That’s right. When they start curling up and falling off you know you really have to act. Alison Jones: That’s so funny. Yes, I have a wall, but unfortunately, it’s been painted with silk paint and it’s rubbish for post-its, they just fall off. I’ll have to do it matte or gloss next time..
Alison Jones: I know. I didn’t think this through at all. Next time we’re going to be using gloss or matt paint. The silk’s terrible. That’s brilliant. It’s funny, isn’t it? I think you’re right. I’m quite a techy person. I read ebooks a lot, but I still have to start the process. Once I’m writing, I can write through a keyboard, but that conceptualization, the grouping and ideas, the breaking down, it all happens offline. Michelle Carvill: It does. It does. Yeah. Alison Jones: Do you do it on your own? Alison Jones: That’s not very social, is it? Michelle Carvill: It’s not social at all, and I have to be distraction free. I have to be disciplined and turn that phone off, and not have dings and alerts coming onto my screen, because I will just procrastinate and get distracted, so I really have to be distraction free. I have two doors to my office. Both of them get locked and it’s, “Nope, don’t distract me. I just need peace to be able to write.” I’ve tried it other ways and it just doesn’t work. Just doesn’t work for me. Michelle Carvill: No, no. I tried the whole, “Oh, take yourself off to the seaside and have a break there, and look out the window” and that. No, too distracting. I just need to be back in my office, and head down, on my own, silent as possible. Alison Jones: So funny. I’m hilarious. I can’t write at my desk. I have to take myself off to a coffee shop and have a little bit of buzz and people around me. Alison Jones: Yeah. Yeah. Or the library’s good. Anywhere that there are people that I don’t have to interact with. Yeah, I’m rubbish on my own. Michelle Carvill: Yeah. How funny. Yeah. It is. Alison Jones: If there’s somebody listening to the show, and they’re a first time author, and they haven’t quite found their thing yet, what would be the best bit of advice you would give them? Alison Jones: Haven’t quite found their groove. Michelle Carvill: Yeah. I would always say, the way to find your groove is to look at the things that people keep asking you. The problems that you’re helping people to overcome, and once you have clarity on, “People keep asking me about this. Maybe I should do something about it?” And the minute somebody says to you, “You know, you should write a book,” then you really probably should write a book. In fact, the first book that I wrote was really a continuation of my blogs. I was blogging a lot and solving problems around social media, and answering a lot of the questions I got asked, and really, that was the start of my book. When it came to certain chapters, much of it had been written already. It had to be reframed a little bit, but a lot of the work had already been done through my blog. I think capturing ideas and starting blogging is a great way to get into your writing groove. From that, it might simply be that your book becomes a collection of your blogs. Alison Jones: Yeah. As you say, you’ll need a bit of post processing, but at least you’ll have the meat of it in there. Yeah. Brilliant. Thank you. Now, I always ask people to recommend somebody else to come on the show. Somebody who’s got something interesting to say about the business of business books. Who do you think would be a good guest for the Extraordinary Business Book Club? 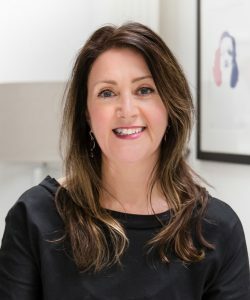 Michelle Carvill: I think a good guest, and maybe I’m a bit biased here, but I’m going to say my publishing editor of Get Social, who is … Her name’s Geraldine, and she’s a wonderful person, but I don’t think I understood until I met Geraldine, the importance of having a great publishing editor. I’m sure that publishing editor or somebody like that, being on the show like this, would be … Because I haven’t even thought about it. I hadn’t even thought about it. Michelle Carvill: Yeah. I would recommend Geraldine, because I think what she will give to your audience is that insight and reminder of just how important it is to have that kind of prodding and provoking, which at the time can feel a little bit uncomfortable, but 100%, in my acknowledgement, I give a shout out to Geraldine, because I do believe that she really did help to join up a lot more of the dots than I would have done on my own. Alison Jones: … the reader hasn’t had chance to engage with that text yet, but the editor is standing in their shoes, asking the questions that they would ask if they could, and almost translating the stuff that, as you say, is so obvious to you, and making it as useful and as clear to the reader as possible. I think Kogan Page are a really good example of an independent publishing house that really get that. There are a lot of publishers who just put manuscripts through, but they do really engage with them, so yeah, that’s terrific. Good. Great recommendation. Thank you. Is there a business book that you think … Obviously apart from Get Social, I know, but apart from that, what business book do you recommend that everyone listening to the podcast should read, if they haven’t already? Michelle Carvill: I, like you, Alison, am an avid reader. I actually gave up TV. People might say that’s a bit extreme, but I did. I gave up TV about three years ago now, because I keep buying business books, and I’ve always bought business books, and I love business books, and I never stop learning, and I’ve got so many, and I just haven’t read so many of them. So much so, that it was like, “Gosh, that’s been out for five years. I still haven’t read it.” So I gave up TV and I started spending my evenings reading instead of sitting there and watching whatever. I’ve read loads, and loads, and loads of books, so finding one book is really, really tricky, but I suppose I am going to go with the book that I’m reading now. It’s not just ’cause I’m reading it now, but because it’s a book that I almost wish I had written. It’s one of those books … So many books I read resonate. You think, that was awesome, I’m taking that away from that. That’s brilliant. But this is one of those books that you just think, oh, I wish I had written this book. It’s a book by a guy called Sam Conniff Allende. I hope that’s the correct spelling of his name, or pronunciation of his name. It’s called Be More Pirate. Alison Jones: Oh, I love that title. Michelle Carvill: Yeah. It’s a brilliant title, and it’s a brilliant book, and it’s about how to take on the world and win. It’s really interesting, because it’s all about what was going on in the golden age of the pirates, back in the 16th and 17th Century, but in all of this stuff, so there’s a wonderful history aspect there, and it’s well researched and it’s interesting, but not too heavy. The messages are all about taking action, being your own champion, the opportunities that tech enables, allows you to be more pirate and do things on your terms, and not get bogged down. It’s just, it’s empowering, it’s intelligent, it’s motivating. It’s just a real … And yet, it’s interesting. Super interesting. It’s written in a fun way, but it’s by no means a silly, silly book. It’s a book that I think we’ll all be talking about for a while. It’s a very, very good book. As a business owner, as an author, as a person, read it. I really do recommend it. Alison Jones: You don’t often get a recommendation quite as passionate as that. That is brilliant. I just want to go and buy it now. I’m going to go and download it right now. That’s fantastic. Michelle Carvill: Yeah. I would. I seriously would. I seriously would, I seriously would. If anything, I’m a champion for Be More Pirate. Alison Jones: In my newsletter, I do a review of what I’m reading now and why you might want to, so if you subscribe to my newsletter, listeners, then you will be hearing about that really soon, ’cause that’s on the list. Brilliant. Thank you very much. What a great recommendation. Now, Michelle, if people want to find out more about you, more about Carvilll Creative, more about Get Social, or indeed, any of your books, where should they go? Michelle Carvill: Well, Get Social has its own site. The book, excuse me, has its own site, which is www.getsocial.site. So it’s, getsocial.site. Or you can find out all of this just if you go to, very simply, michellecarvilll.com. So, www.michellecarvilll.com and it will have information about me, about my books, about Carvilll Creative, about the work that I do, about my blogs, about groups that I run. All sorts of stuff is on there, so it’s probably the simplest to go to michellecarvilll.com. Alison Jones: Brilliant. I will put all those links up on the show notes at extraordinarybusinessbooks.com as always, so you can find them there. Michelle, it’s been an absolute joy talking to you today. I enjoyed that so much. Thank you so much. Michelle Carvill: Okay. Goodbye everybody. blogging, business, CEO, content, leadership, linkedin, media, publishing, social, strategy, twitter, writing. Bookmark.